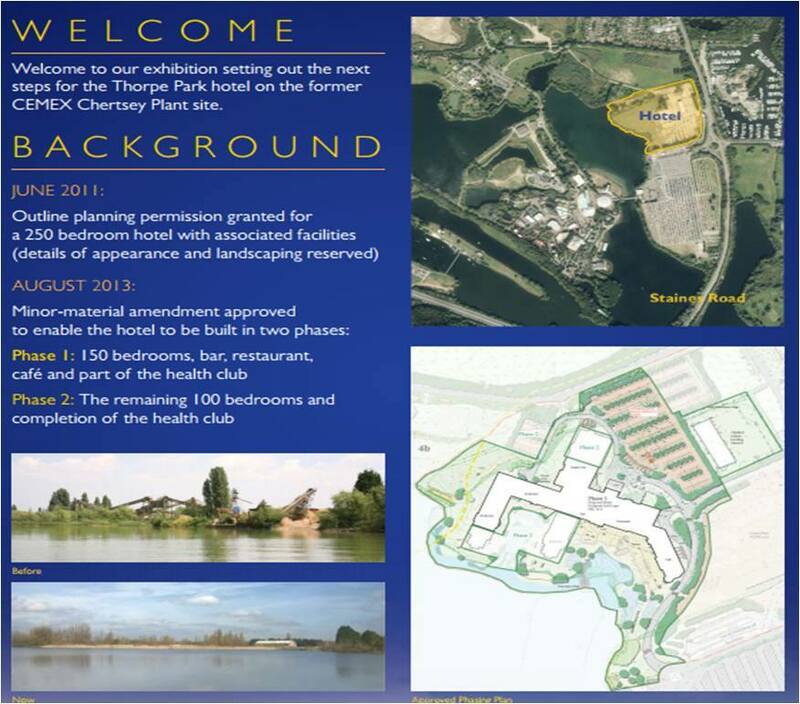 For many years Thorpe Park Resort have had plans in the pipeline to construct a permanent hotel on the old Cemex site of the park. 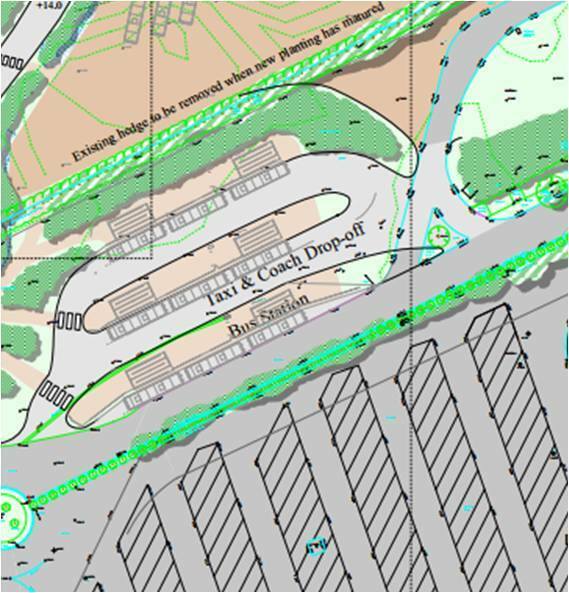 Outline plans for a hotel were submitted to the local council back in 2006. 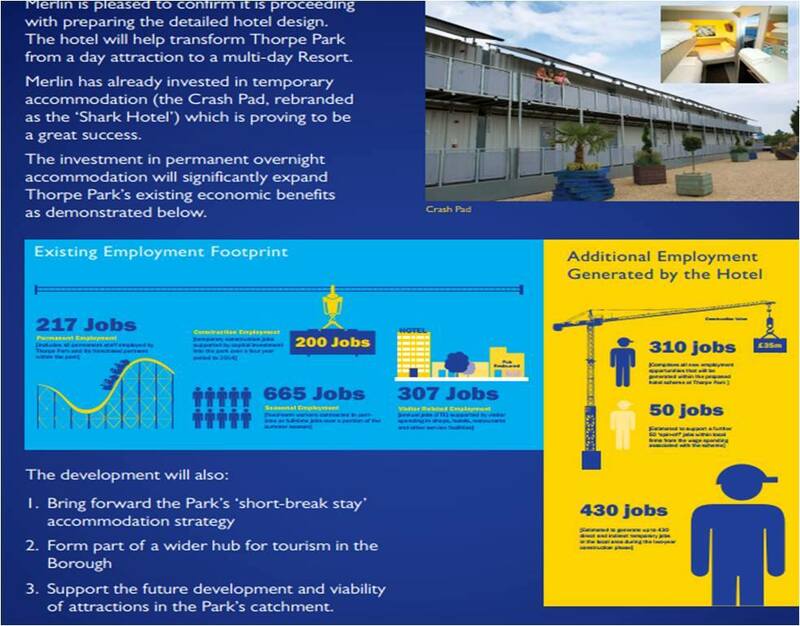 After years of little news along with the economic downturn, in 2013 Thorpe Park partnered with Snoozebox to open a temporary hotel known as The Crash Pad, built from stackable shipping containers bringing overnight accommodation to the park for the first time in its history. Following a successful season in partnership with Snoozebox Merlin made the decision to take full control of the accommodation, building all new rooms and facility's the park opened the all new Thorpe Shark Hotel for April 2014, the concept is very similar to the old Crash Pad design but the rooms are slightly altered to suit the park. 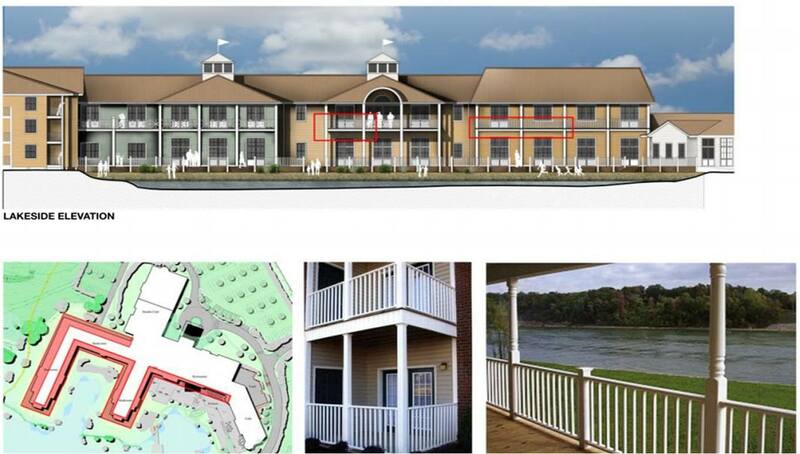 In May 2014 the resort submitted full plans to the council with the intention to proceed with the building of the 250 room Waterside hotel. 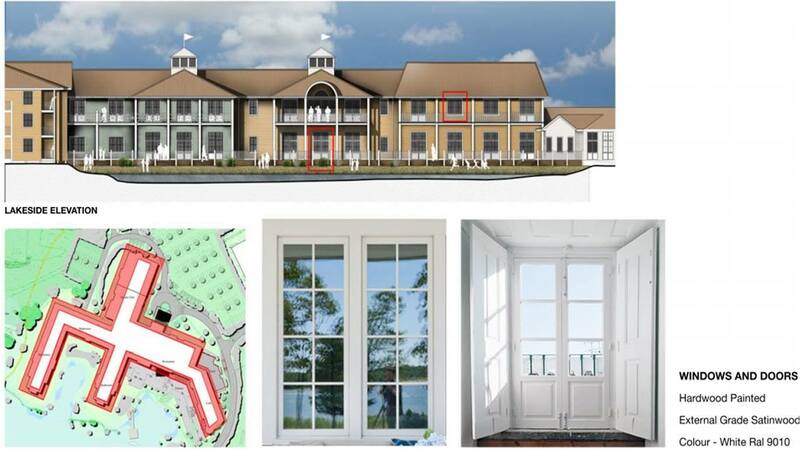 The hotel will be built in two phases - the first will include 150 rooms, a bar, restaurant, cafe and a section of a Health Club. 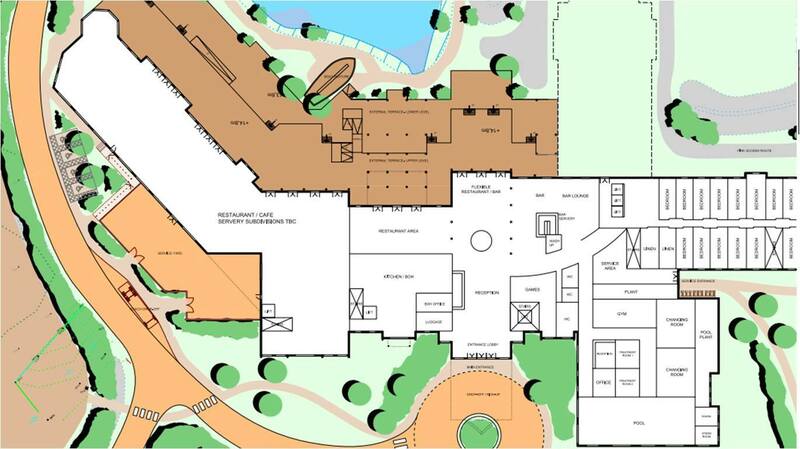 The second phase will include a further 100 rooms and an extension to the Health Club. The hotel also includes a small play area for children, as well as a jetty link to the park. 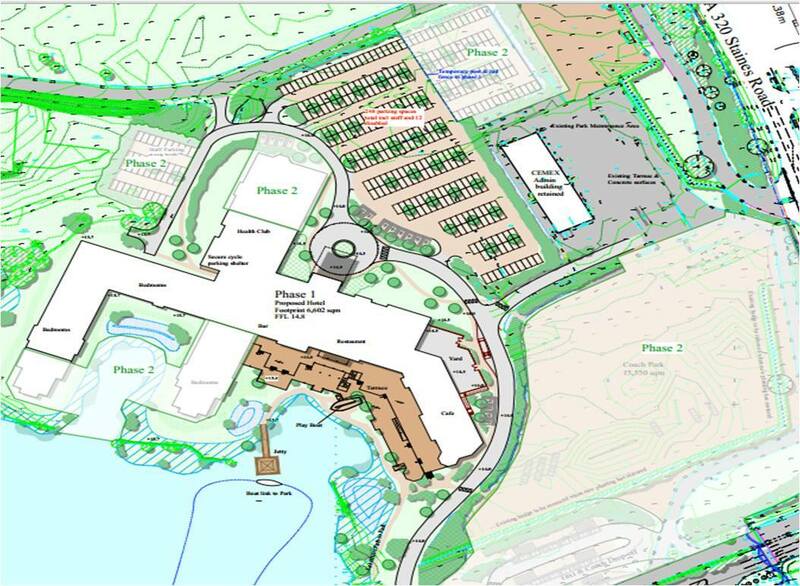 The creation of the hotel also means a new pick up point and bus station will be created where the current coach park is. Following a small exhibition to nearby residents, largely positively feedback was received, including that it fit in with the theme and style aimed for (a calming, waterside hotel). 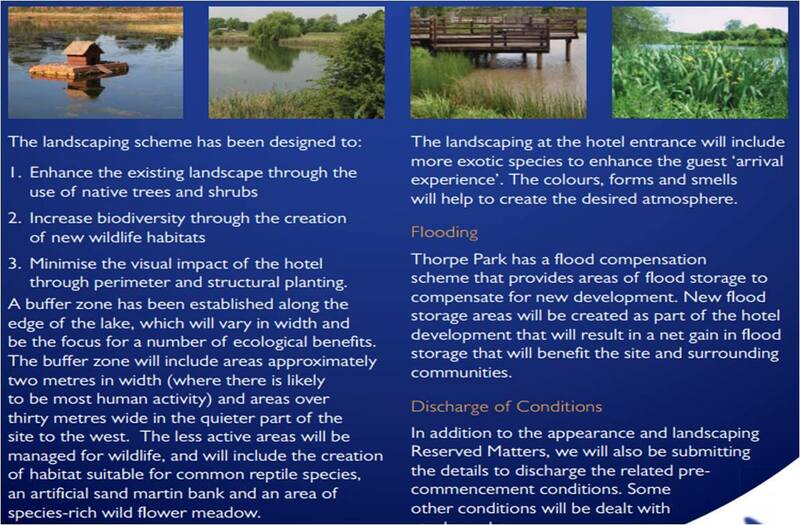 There were some concerns about transport issues, but Thorpe Park assure that the hotel and transport links to it will have little to no affect on the surrounding area. 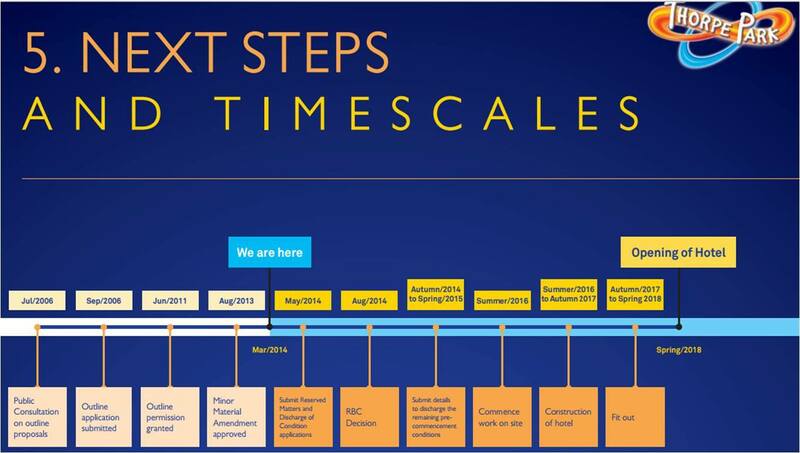 A timescale is also included and shows that, if all is approved, work will start on the hotel in Summer 2016 and the hotel itself will open in Spring 2018. 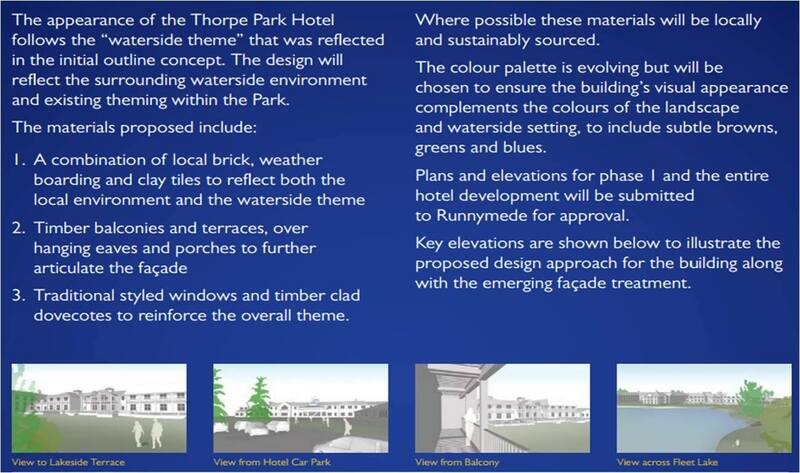 Until then, the Thorpe Shark Hotel will be the Resort's main hotel, and could stay as alternative accommodation when the main hotel opens until its planning application expires in 2024.